A great lady has left us. 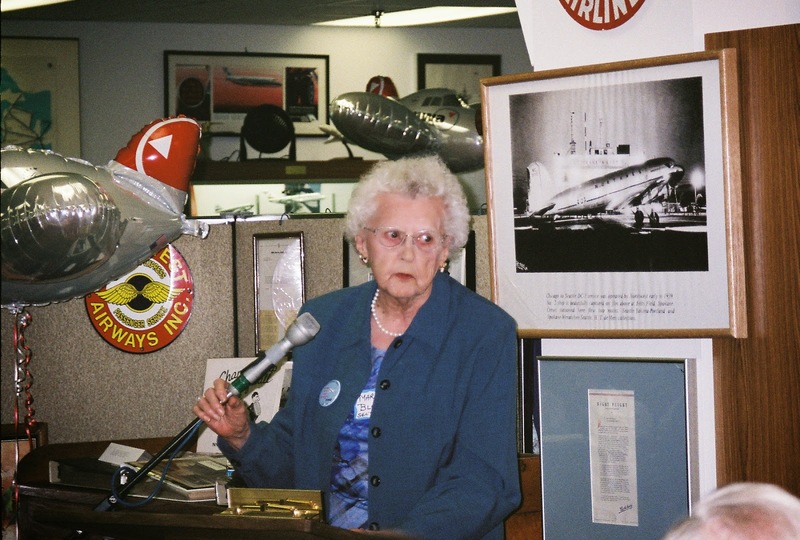 In her heyday, Marianne Blomquist was secretary to NWA President Donald Nyrop, and spent a total of 42 years of loyal service working for our beloved airline. 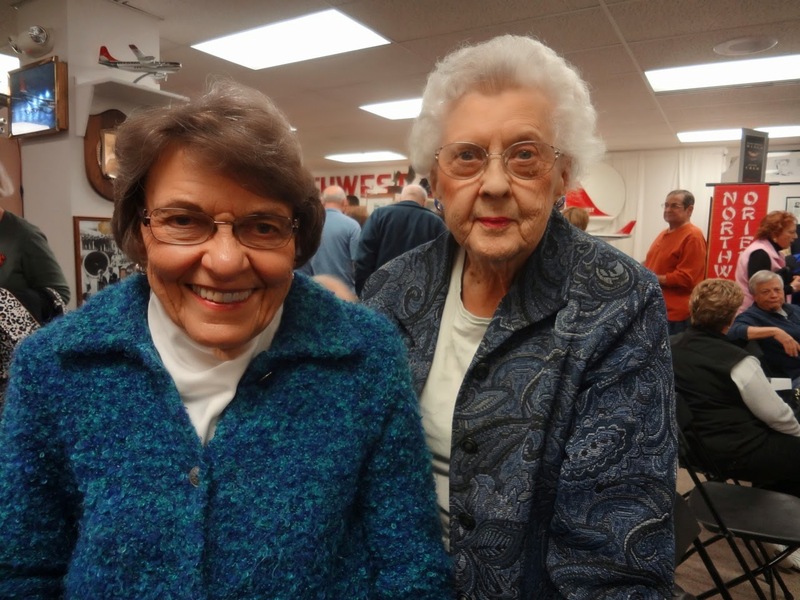 She has been a frequent visitor to the NWA History Centre over the years, thanks to her dear friend Shirley Huskins offering to drive when Marianne's vision failed. Her memorial service will be held Tuesday, May 6, at Normandale Lutheran Church, Edina, MN. See StarTribune obituary for details. Marianne at the NWA History Centre, Nov. 2, 2013 for the book launch of author Jack El Hai's "Non-Stop"
Marianne relating great stories about her boss, Donald Nyrop, at the "Remembering Donald Nyrop"